During the colder, darker seasonal months, there’s nothing quite like the coziness of a warm fire to take away the winter blues. Most homes in the UK either have a fireplace or a chimney in place, yet very few are being put to use due to modern central heating systems being regarded as more environmentally friendly and efficient. However, even without the hypnotic glow of an open flame, a beautiful fireplace can give any room a much needed focal point that draws the eye and gives the overall interior design balance and continuity. If your home has a fireplace that is simply not being given the treatment it justifies or you have the opportunity to create one, here’s some great tips to giving yours a deserved makeover that will make a massive difference to how your room looks and feels. Of all the upgrades you can do, this has to be the quickest and most cost effective, yet this simple, classic facelift can work wonders in a home that is characterful and rich in period features. Generally suited to existing open fires that are in use, aged wood ticks all the boxes because it is organic, rugged and tactile. 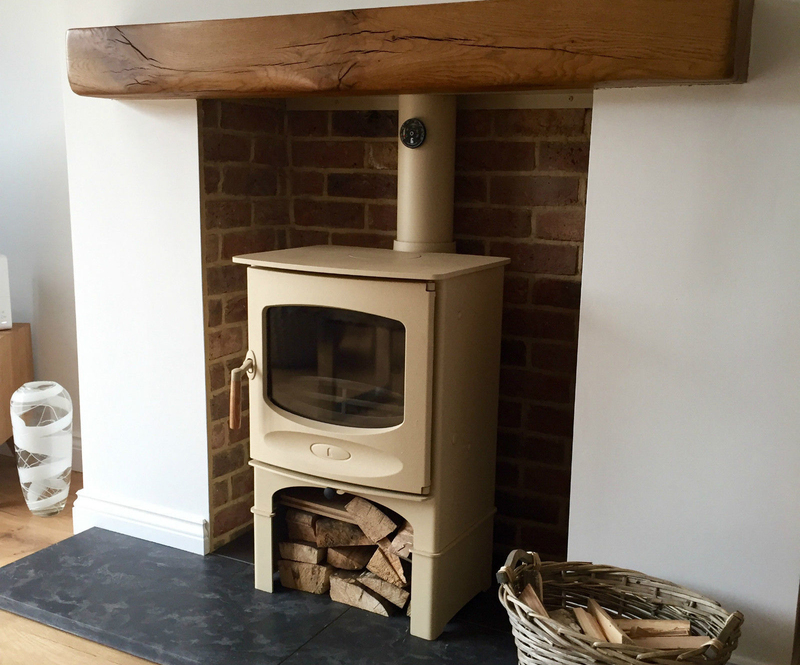 Against freshly painted plastered walls, it lifts a fireplace and gives it rustic appeal. The grain of the wood will stand out, with all the knots and imperfections just adding to the character. Against exposed brick, wood works every time. It just improves on what is already a very organic and agricultural look. Wood and stone always compliment each other so this is always going to be a winning combination. 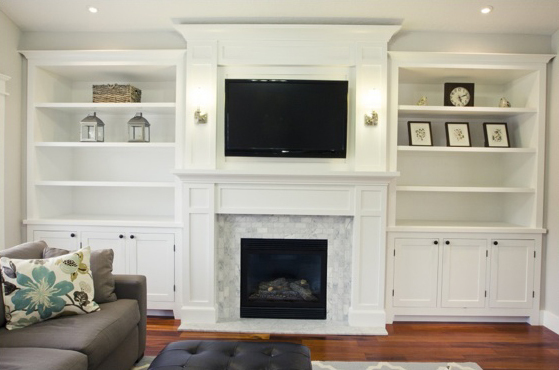 A very popular direction some homeowners take is to create built in shelves either side of the fireplace that completely integrate with the fireplace surround, creating a seamless finish. By using the same material and moulding styles, the whole wall ties together and creates a very cohesive look. Painted white, this gives the room a very classic appeal whilst other colours such as greys or even shabby chic chalk paints, can add some much needed character features that oozes charm. 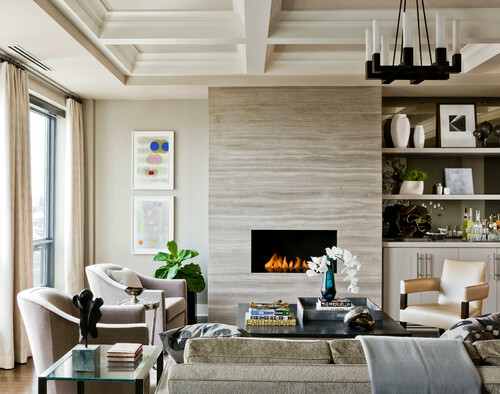 If budgets allow, fireplaces can look stunning when skinned with a highly polished granite or stone facing. If you want to give your fireplace a slightly more modern edge in a contemporary space, this might be your preferred direction. By using the granite or stone to frame the fireplace, it gives the finished look sharper edges and and a cleaner finish. So if your home is more suited to the modern era, this could the the ideal direction to take. Always a winning combination in country style homes, natural rock and stone fireplaces just look stunning. 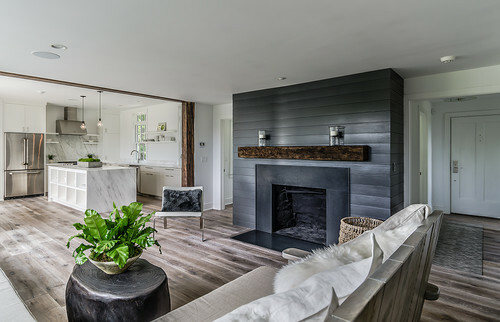 Suited to larger rooms with high ceilings or even outdoors, building a fireplace in stone from top to toe is no easy task but the end result is worth it. The finished look will transform the space and last a lifetime with is highly durable material and timeless features.